One of the things which set me on the path to Palouse Pathways was my desire to share information about college admission testing. When my son was a young high schooler I looked around for resources to help him prepare for the PSAT. I found no local resources, and what was more concerning was that many parents did not really know about the PSAT (in particular about its potential as a merit scholarship source). So I started to learn, and to share what I know. I wanted to put some information out there so that your family can plan ahead for test preparation and administration. PSAT (also known as the Preliminary SAT/National Merit Scholarship Qualifying Test). Breathe one more time. Rejection is ok. It just moves us into new directions and away from others. Additionally, the same can be said for relationships, though this one may be harder to accept. The students also offered advice on how to succeed in college. 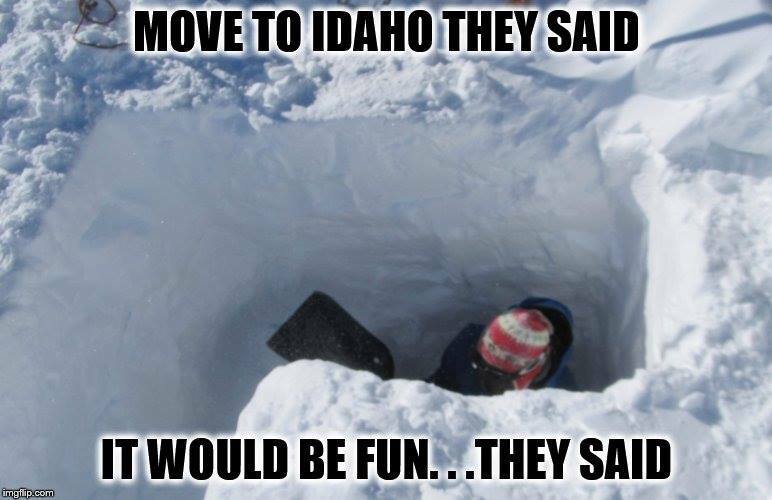 It’s hard to imagine summer when there are several feet of snow on the ground and falling temperatures. But this is the right to time to start making summer plans. You may have received invitations from colleges or organizations encouraging your student to participate in summer classes or programs. You may be wondering about whether those programs are worth the costs, or whether your student would have a more enriching summer staying close to home. This post is designed to answer some of those questions, and also to share some information about some cool national programs out there. The deadlines for some of these programs is coming up quickly, so please read on soon! If you need help with the application process, we’d be happy to help. The first point is that, with exceptions discussed below, going to a summer program at a selective university probably won’t increase your chance of getting in to a particular college. This article explains that there is range of opinions, but in general admissions folks at selective colleges say that going to their or another on campus program probably won’t help you get in. There are still good reasons to attend. The classes may be great, the fellow students entertaining; it’s fun to be on a cool campus and it might help your student to get excited about college. But the cost is usually very high — up to $10,000 — and you’ll probably need that money for college. Another risk of attending a summer program at a selective college is that your student might fall in love with a school that is not a very realistic possibility for him or her, either because of super competitive admissions, or high cost of attendance. So there are benefits, but definitely costs too. Some summer programs DO help students with college admissions. These tend to be programs that are highly selective, and they tend to be free or provide ample financial aid to people who are selected to attend. Here’s a list of some of the best of those available throughout the country. Students from Latah and Whitman Counties might have a good shot at these programs if they are from underrepresented groups, low income, first generation or if few of their classmates attend very selective schools. Telluride Association offers summer programs for juniors and for sophomores at Cornell and University of Michigan. Applications must be submitted January 24. These programs offer challenging content for bright students (you may have received an invitation because of your PSAT score but you can apply even if you did not). The programs are free and the Association will offer financial assistance for student who need help with travel costs. This would be a GREAT opportunity for the right students. I encourage you to check these programs out, and share information with gifted students you know. Johns Hopkins Center for Talented Youth offers summer programs at universities around the Country. Priority deadline is January 18 but there are rolling admissions after that. There are programs for students from grades 9-12 and even younger. They are open to students who already participate in the CTY program and to other bright students. They are costly, but financial aid is available for low income students. I know several students who have attended these programs and the experiences have been mixed. One public school student from this area felt like she had a transformative experience that prepared her for selective college admission. Another student from a private school background though the program was a bust, boring and not worth the money. So your experiences may vary. There are a lot of other summer programs out there, and they don’t all cost much or anything to attend. Some are in the nature of scholarship programs: Here’s a youth summit in Washington DC for students interested in public transportation. Apply between by or before February 17, 2017. This Bank America Student Leadership Conference offers a paid internship at home followed by a conference in DC. Applications are due by or before January 27, 2017. This list has a bunch of free summer programs. You’ll have to weed through a bunch which are offered within different states and available to that state’s residents. But there are some cool ones in there. You can also find programs on general scholarship sites. 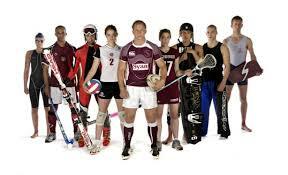 You may have other programs you are considering and want to find out if they are worth it. You can email me at palousepathways@gmail.com and I will tell you what I know or help yyou dig for information. I also find that College Confidential is a good place to look. You can go to the page and type in the name of an organization or program and you’re likely to find a discussion within that community about the value of the program. One thing you will learn there (and should consider) is that there are a number of programs which suggest that they are selective and prestigious that really are not. That doesn’t mean they wouldn’t be great experiences, but it does mean you should go in with your eyes open (especially because there may be a lot of expense involved). 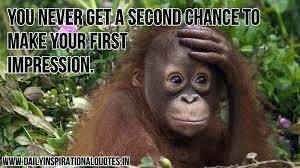 College admissions doesn’t have to be a blind date! Your relationship can start as soon as you decide you might be interested. And colleges have ways of finding out with you too. So if you have your heart set on a school, don’t wait until clicking the send button to make an impression! In this post, I’ll talk about ways to make connections that can help you get information you need to decide if a school is right and improve your chances for admission and scholarships. There are a lot of ways to show that you are interested in a school and you can and should do it as soon as you are, well, interested. The most common way to show interest is to request more information. You can do this by going to a school’s admissions page and click on the “request more information link.” Once you sign up you’ll get all kinds of brochures and admissions materials. You can also show interest and learn about schools through social media. You can like a school’s Facebook page. You can follow a college on Twitter. You can even follow the college’s admissions office on Twitter. In my opinion, the information you get about a school from social media is a little more spontaneous and revealing than what you get from admissions office brochures. Schools often use social media to post important stuff, like applications period deadlines and extensions, upcoming events and the like. One very good way to interface with colleges is by visiting. That’s of course a great way to learn about schools (here’s a very good article about how to learn the most from your visit). But the schools get some information about you too. They know you care enough to visit. You may also have an opportunity for an interview, or to explore departments that interest you (which will make it easier for you to make an impression when you write your “why us” essay). This article describes the things you can do to make a good impression on a visit. It’s hard to make a bad impression on your tour, but remember to be polite, show appreciation and let the student do the talking. And if you sign in for an information session, don’t leave in the middle. The school will notice. So what if you can’t visit before you apply? It’s not the end of the world. Here are ways to get to know a school when you can’t visit. And if you are low income, you may be able to get the school for you to pay for a visit. Here is a list of schools that offer “fly-in” programs for low income, first generation and/or under-represented students. If you’d like help applying talk to your counselor or send us an email. If you can’t make it to a visit, you may be able to connect with college representatives at a college fair or a visit by the college representative to your school or community. For students on the Palouse, some college fair options are the Colleges that Change Lives Fairs that happen over the summer in Portland and Seattle; the Explore College Options Fair featuring reps from Harvard, Duke, UPENN, Georgetown and Stanford in September in Spokane; the National Association of College Admissions Counselors regional fair in Spokane in October, the Moscow High School College Night in October and the Palouse Pathways Honors College Fair in December. Palouse Pathways also hosts college admissions representatives on occasion (we’ll be hosting a representative from Willamette on October 27, 2016); sign up for our newsletter to learn more. And if a representative comes to your school, PLEASE take the time to show them some love. Remember the admissions representative visiting is the one who will most likely be shepherding your application through the admissions process. They’ve probably driven a long way to see you. And the students in the class behind you would probably like them to come again next year. Hey juniors, happy new year! I have an interesting fact to share with you. This time next year, many of you will have completed all your college applications. 1. Make a BIG list of colleges that interest them. 2. Prepare for College Admissions Tests. 3. Think about paying for college, and explore financial aid and scholarships. The good news for juniors on the Palouse is that Palouse Pathways can really help with items 1 and 3. In our free College Exploration Course, which starts January 13th in Moscow and will be offered in Pullman in March, you can explore colleges and come up with a great college list. 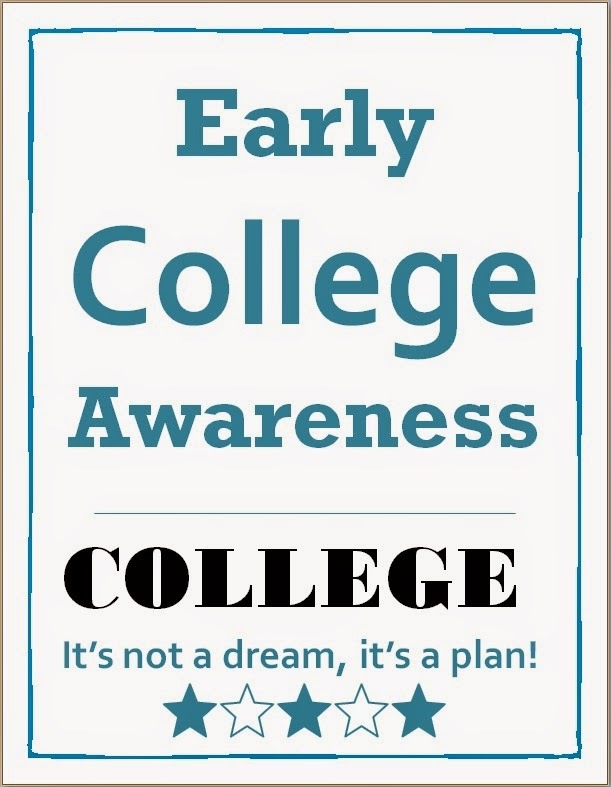 As part of those sessions we will also have a session for parents and students where we will discuss strategies for finding affordable colleges (something we’ve also talked about on the blog here). If you want to participate in either of those activities, email palousepathways@gmail.com. But today, I want to talk to juniors about Number Two on the list, because that one is completely up to you. This Spring you’ll likely be taking the SAT test (this test will be given to juniors at area schools on April 12th) and the ACT test. Those tests are important and you will need to prepare. The tests are important because they play a roll in a lot of decisions made by colleges, including whether they will let you in, whether they will give you scholarships, and which classes you will take. As this article explains high school grades are more important than test scores at most schools. But unlike your grades, which you spend years working on, college admissions tests boil down to one or two make-or-break days when you need to give it all you’ve got. There are some people who just don’t perform well under those circumstances, and if that’s you you’ll have college options even without great test scores. Here’s a list of great schools that will consider you for admission without test scores. So you’ve got a fallback in case you don’t perform well on the SAT or ACT. But for right now, you owe it to yourself to do your best on the SAT and the ACT so you can get into the schools on the top of your list and qualify for scholarships to help you pay for them. So how do you prepare? My suggestion is that you make a new year’s resolution to get started NOW. Build time into every week to prepare for the SAT and/or ACT. How about waking up early two or three mornings per week and set aside half an hour for preparation? There are different philosophies about how long you should prepare, but in my book taking the time to get familiar with test formats and questions will really help you in the long run. And it will also help you discover your strengths and weaknesses. If you get started now, there will be a lot of opportunities to talk about how to make the most of your preparation time. Here is a great app from the college board that lets you take a practice SAT, take a photo of your answer sheet and end up with a study plan. The app will also give you a daily SAT question based on the new SAT to work with. The College Board will also give you study plan based on your PSAT scores, which will be available online January 7th. You could also sign up with a reasonably-priced online test prep site, which will help you with instruction and a schedule. There are a bunch of other options too. 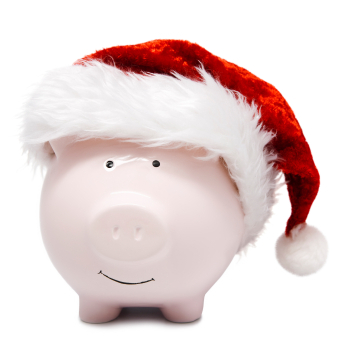 ‘Tis the season for holiday gift lists, so I thought I’d throw my santa-hat in the ring with some great gift ideas for families looking ahead to college. Before I start, I want to acknowledge that for some the prospect of college-planning- themed gifts sounds about as appealing as dental- or tax- themed gifts. There are a lot of opportunities for stress during the college process — essays, college admissions tests, FAFSA — but there is a lot to be excited about too. It’s a time to explore the vast array of wonderful options out there, anticipate the next steps on a journey toward adulthood, and celebrate the accomplishments that got your student this far. 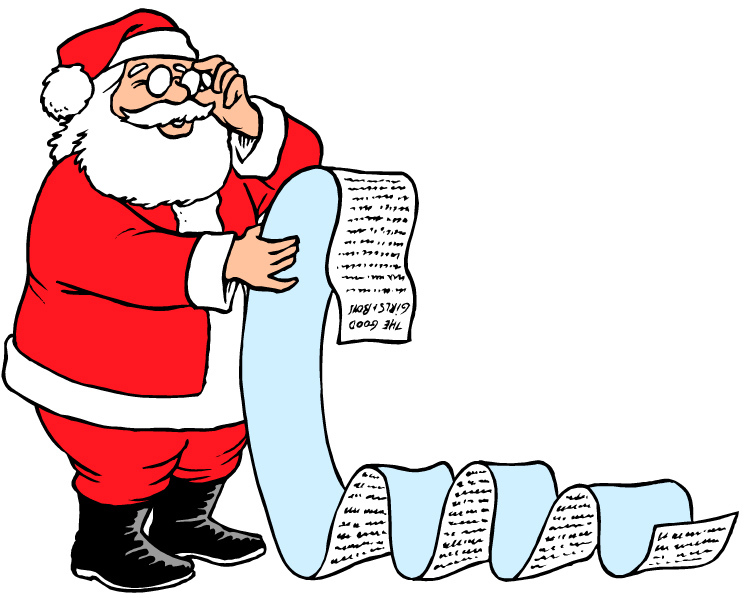 If you can get to a happy place about the college process (and I hope you can) read on for some gifts ideas….. Logo Wear: If your senior already knows the school he or she is attending, a sweat shirt or tee from that institution might be nice. 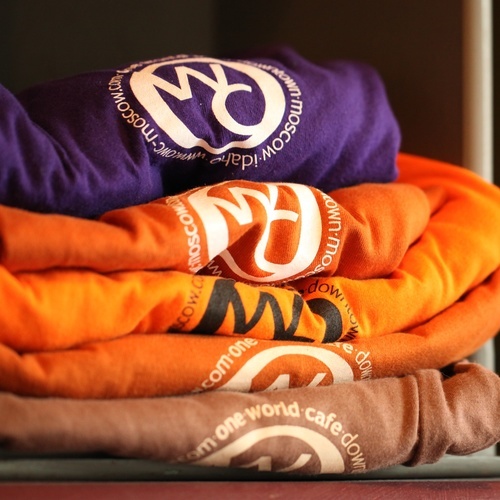 If your senior is still in limbo, as many are, how about a shirt or mug from a local landmark? Those heading out of town are probably already feeling pre-nostalgic. Rolling Duffle Bag: Regardless of whether your senior will be near or far next year, a rolling duffle bag would be a great gift and would help him or her do a lot, from carting laundry to studying abroad. They come in a wide range of sizes, styles and prices. A Five Year Diary: Your student is on the threshold of a big journey, and what could be better than a place to capture the end of high school, the college years and next steps beyond? There are a number of five-year diaries out there with space for brief daily entries and reflections…. 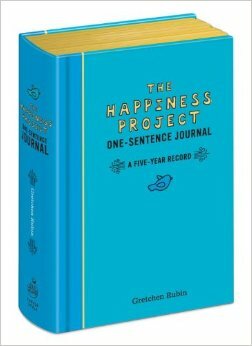 Gretchen Rubin, creator of the Happiness Project, has a one-sentence journal that might be just right for your student. Cool Colleges for the Hyper-Intelligent, Self-Directed, Late Blooming and Just Plain Different, by Donald Asher. If you know a student who marches to the beat of a different drummer, it would be great to find a college where he or she can be in sync. This book has some great places to explore. It’s written in an intelligent way that doesn’t talk down to the student. It was written in 2007 so some of the website resources are out of date. But the school descriptions are still pretty spot on. 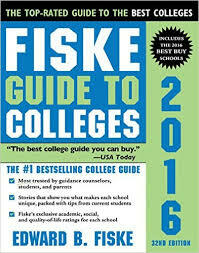 The Fiske Guide to Colleges 2016 is a big fat catalog of schools all over the country, cross referenced and easy to navigate, with great fact summaries and narrative descriptions of schools. When I was a little kid I used to wait for the Sears catalog to come at Christmas time. It was called “the Wish Book” and I used to pour over it for weeks planning and dreaming about presents. The Fiske Guide reminds me of that. A student with college aspirations and a good imagination could get lost in it, in a good way. The Fiske Guide is also available in an online searchable version. 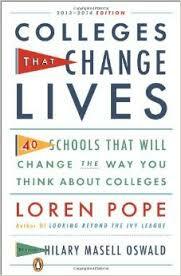 Colleges that Change Lives written by Loren Pope and revised by Hilary Masell Oswald, is a terrific book for students and parents who want to learn about highly-regarded student-centered colleges all over the country. These small liberal arts colleges provide great opportunities for student research, prepare students well for graduate school, and offer terrific need-based and merit aid. And because these schools are not overwhelmed by applicants students have a great chance of securing admission. This book tells the story of each of the schools. You can also learn about them on the CTCL web site. Either way, a good college search should include consideration of CTCL schools, since they can provide a life-changing and affordable education. 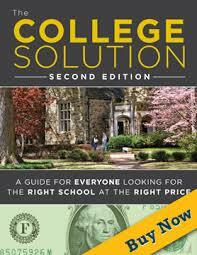 The College Solution by Lynn O’Shaughnessy is a book that should be on every parent’s bookshelf. 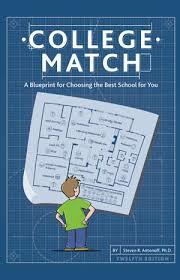 It is subtitled “A Guide for Everyone Looking for the Right School at the Right Price,” and it really is. As I explainedin this blog post, the book is clearly written and will give you a broad working knowledge of the admissions and financial aid processes, references for further reading, and a game plan. It would definitely be one of those practical Christmas presents, but one that is going to improve the quality of your family’s life over the next several years. If you’ve gone through the college admissions process with your child (or parent) or you’ve watched from the sideline, you know that it is a complex relationship-straining process with psychological, financial and even cultural dimensions. 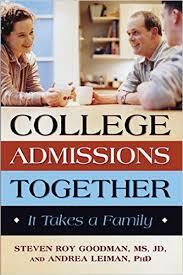 College Admissions Together by ​By Steven Roy Goodman and Andrea Leiman explores all these facets. According to the book summary “College Admissions Together is . . . a guide to healthy family relationships during the college admissions process. This invaluable book looks at the often stressful process of finding the right college for your child not as an ordeal but as an opportunity to bond as a family and to give your child safe passage to adulthood as he or she determines which colleges are the best fit.” I haven’t read it yet, but it is on many “best college books” lists and comes highly reommended. I don’t think it’s an easy read, but it looks like a very valuable one. If you know a family with students dreaming of college, making a financial gift to a college savings plan for the benefit of those students would be a fantastic gift. Studies show that students with money put aside for college — as little as $500 — are far more likely to have college expectations. They are three times more likely to attend college than students without savings and they are four times more likely to graduate. College savings plans even correlate with better middle and high school performance. 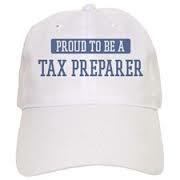 Making a contribution to the student’s aleady-exisitng college savings account is easy. You can also establish an account on your own, but you’ll need to take care to use a device that will serve your goals and provide the best financial support to the student. Here’s a discussion of some of these issues; and Lynn O’Shaughnessy discusses them here. It’s really worth talking to a professional. But don’t let that stop you, since helping to support a college dream is the best gift money can buy. Best holiday wishes from Palouse Pathways!!!! In this season of hope and giving, we are hoping that everyone who finds value in Palouse Pathways will consider making a tax-deductible gift if they are able. 1. Palouse Pathways is an all-volunteer organization that runs on a shoe-string. We have no office or staff, not even a dedicated phone line. All of our funds are spent on providing college and career resources to students and families. 2. We are a young organization (only two years old) and at this point we don’t receive support from big donors like corporations or foundations. Some day maybe we will, but right now we depend on individuals and families for the support we need to operate. Provided SAT preparation sessions at MHS that were attended by more than seventy students last Spring. MHS Principal Erik Perryman is confident that our efforts played a roll in boosting MHS’s SAT scores by 24 points over the prior year, bucking a nationwide trend that saw scores fall. Provided essay brainstorming sessions to over 40 students from six area high schools, providing them with tips on how to write good essays, examples of what to do and what not to do, and ideas for how to tell their own great personal stories. Some of the strong, engaging essays we’ve been reading show that the workshops really helped. Provided workshops for dozens of students and parents on how to find affordable colleges. Hosted an evening with certified financial planner/college advisor Carol Wagars who spoke to families on financial aid, savings and college affordability strategies. Conducted college exploration sessions to help students build college lists. Helped plant the seeds for a student-run Palouse Pathways Scholarship Club. Met with students and parents seeking assistance in planning for college. Shared information on college and career topics in our Facebook Group, which has over 500 members. Sent out weekly emails on college and career topics to over 100 families. Supported local schools by providing volunteers to staff college and career events, making presentations, helping to publicize school activities, and more. On December 2nd we are hosting the first ever Honors College Fair!!! We’d like to improve SAT prep resources on the Palouse and in the LC Valley by encouraging and supporting local teachers who want to become SAT experts. In return they’ll provide low cost SAT preparation sessions and be available for small group or individual instruction. We’d like to donate a suite of great college and career books to each library in Latah and Whitman Counties and in the LC Valley. We’d like to host an information session for students and families who are hoping to play competitive sports in college and obtain sports scholarships, featuring presentations from athletic directors from nearby universities and colleges and other experts in college sports recruiting. We’d like to improve opportunities for area students to explore nearby universities and colleges, by colloborating with the schools on tours, information sessions, and other hands-on opportunities. We’d like to provide some resources for students heading to college, so they feel supported by their community and prepared for the challenges. We’d like to extend our outreach to middle school families, to help them encourage college dreams and explore career interests and get serious about savings. We’d like to build strong connections with area students who need special help to acheive college dreams, including first generation students, low income students and other students facing barriers and lacking support. We’d like to provide help through the college preparation and planning and to connect them with regional and national organizations that can help them in the process. 5. It’s EASY to Support Palouse Pathways. Here are several ways to do it. Palouse Pathways is participating in the Alternative Giving Market of the Palouse, a local event that raises fund for local non-profit organizations. You can give to Palouse Pathway through the AGMP in two ways. You can donate online on the AGMP website from now until December 12th. You can also give at one of the live AGMP events. The BIG EVENT takes place at the 1912 Center from 4-8 PM December 3rd. There will be refreshments and carols and you can take time to watch the City of Moscow’s Light Up the Night Holiday Parade on Main street nearby. Palouse Pathways will have a table at the event – you can stop by and say hello and meet representatives from other local non-profits serving the Palouse. AGMP’s purpose is encourage folks to honor friends and family members with donations to worthy causes rather than store-bought gifts. In keeping with that theme, Palouse Pathways has created five colorful gift cards (four ranging in value from $5 to $20 plus one in an undesignated amount) which you can purchase to honor and share with friends and family members. Once you make your donation, AGMP will present you with the cards, and you can give them as gifts. Do you have a family member who would be tickled to know that you’ve made a gift in their honor to “Support the work of local schools and inspire local students”? Then giving through the AGMP is for you! It’s also a great way to support Palouse Pathways if you’d like to use a credit card. You don’t have to live in the area to make a donation through AGMP! You can also make a donation by sending a check to Palouse Pathways at 1120 Kouse Street Moscow, Idaho 83843. Your gift is tax deductible and very much appreciated. Since Palouse Pathways is an all-volunteer organization, what we really need is YOU. Volunteers teach workshops, write press releases, work on grant ideas, bake cookies and more. And volunteers spread the word about Palouse Pathways, to friends and neighbors and (perhaps most importantly) to students and families that could really use our help. If you’d like to contribute your time, in big or small ways, or you have ideas for how we can better achieve our mission and serve local families, we would love to hear from you. Just email palousepathways@gmail.com. Our budget is small, but our aspirations are big and we need your help to achieve them. Thanks so much for your support and consideration. And best wishes for the holidays.